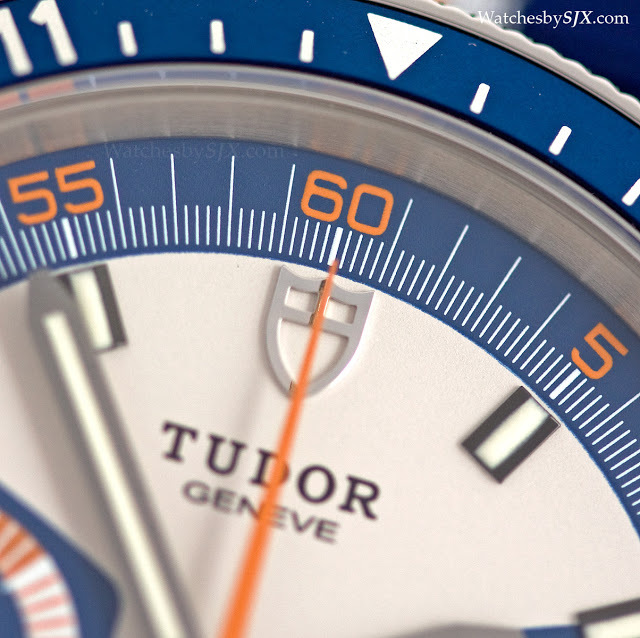 Thanks to our friends at Watchonista and Tudor Switzerland, we got the new Heritage Chrono Blue for a week. 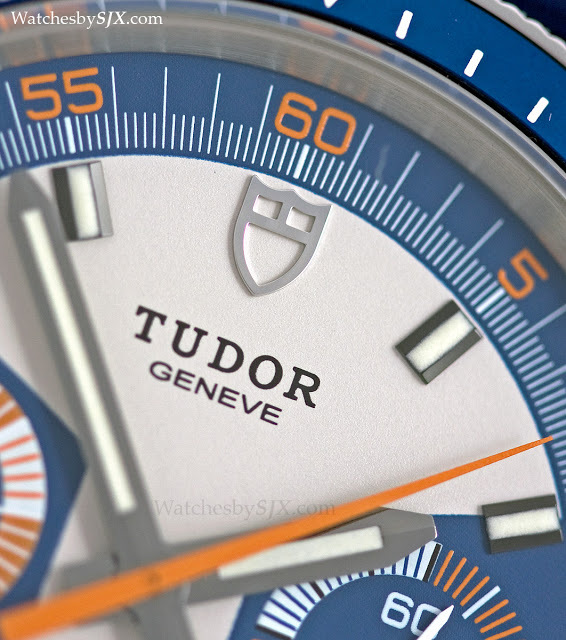 Here’s what we thought of Tudor’s Baselworld 2013 star. 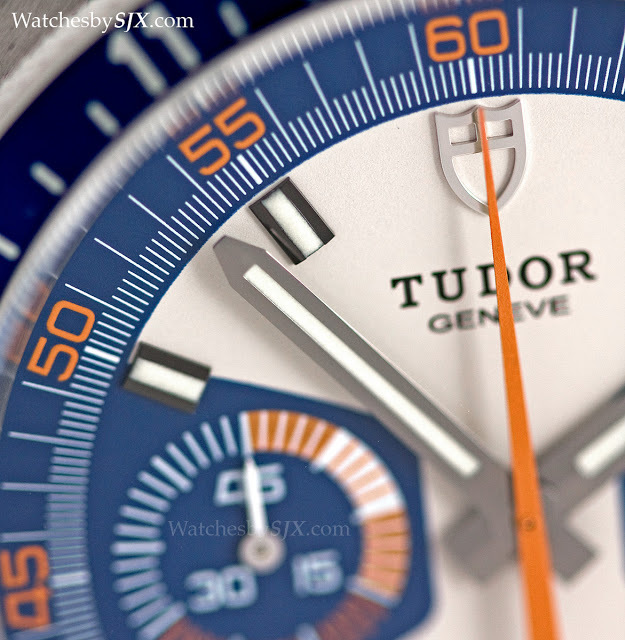 Tudor scored a big hit with the first Heritage chronograph of 2010. 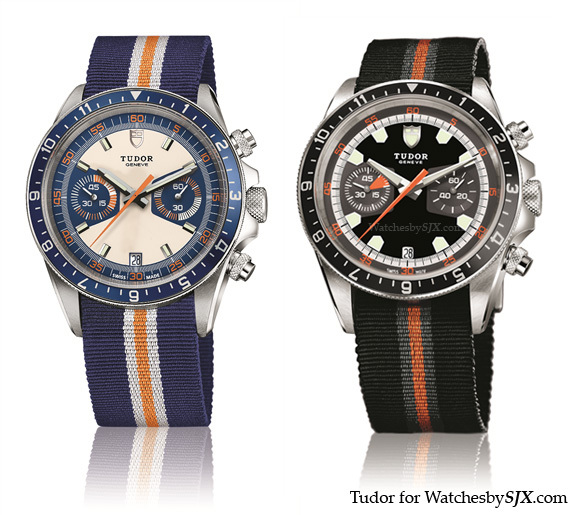 This year Tudor has added a new orange and blue version to the line-up. 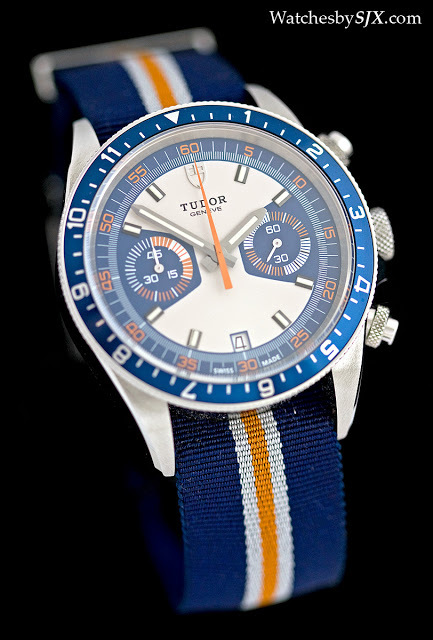 While the earlier Heritage Chronograph was modelled on the ref. 7031 of the seventies, nicknamed the “Home plate” for the shape of its indices, the Heritage Chrono Blue is inspired by the later ref. 7169 of 1973. 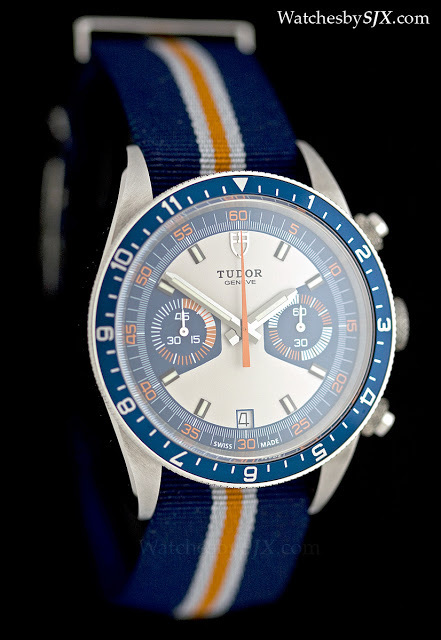 Visually the Heritage Chrono Blue is more striking. The watch is less severe, and more fun than its forerunner. Blue and orange is less common than the earlier black and grey, which helps it stand out. Externally, the Heritage Chrono Blue is identical to its sibling, with the same 42 mm steel case, crown and pushers, except both the aluminium bezel insert and lacquered crown top are in blue to match the dial. The case construction and finish was excellent before, and it is now. In terms of case quality this places high relative to its competitors in the same price segment. 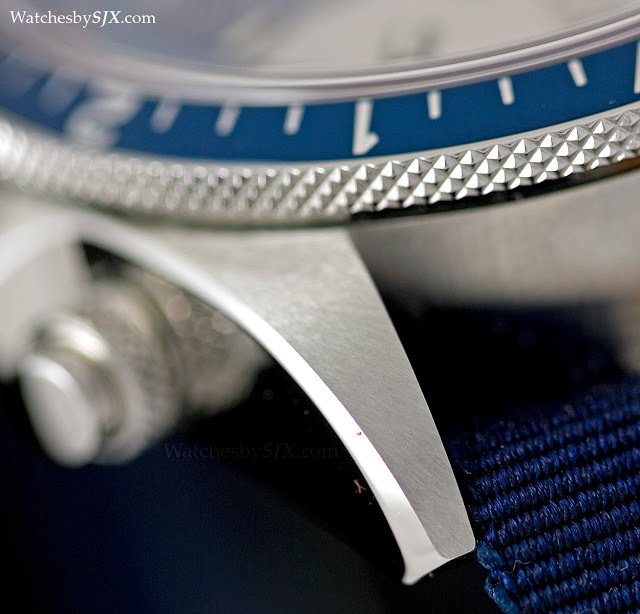 The case is somewhat thick, but the wide flanks of the watch are well polished, with the top of the lugs brushed. In between is a broad and carefully polished bevel. Both the crown and screw-down pushers are knurled for easy use. Worth mentioning is the large crown, which screws down smoothly and reassuring. 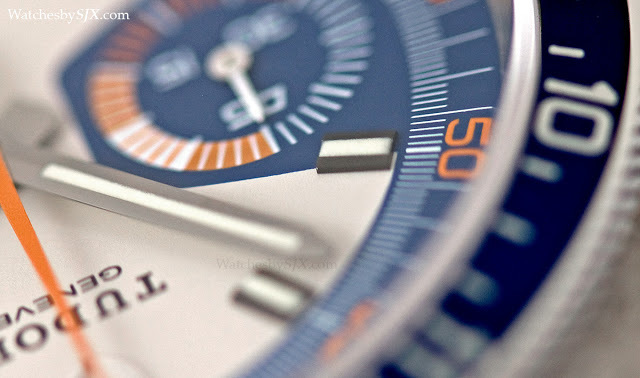 Beyond the obvious colour differences, the dial has one main improvement over its predecessor. All the hour indices are applied, and slightly bevelled with a luminous strip in the centre. 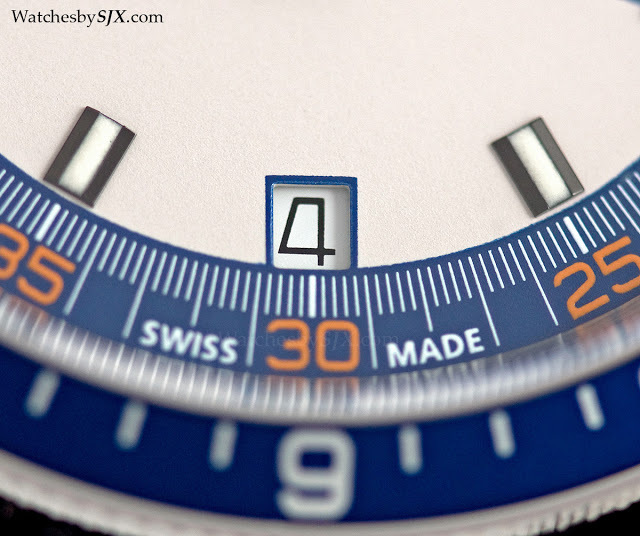 This is a minor element of the dial, but it gives the watch a more enjoyable level of detail. 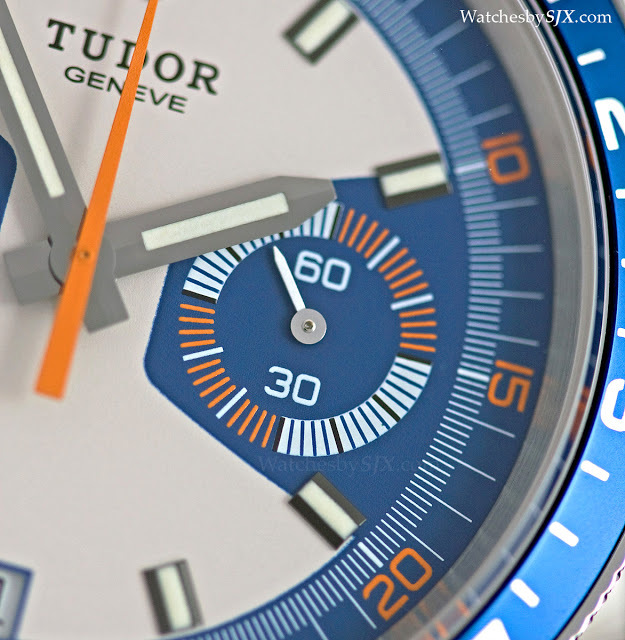 Inside the watch is the ETA 2894, which is the ETA 2892 automatic with a Dubois Depraz chronograph module on top. This is a tried and tested movement, so reliability is a given. And while it was on my wrist the watch kept good time. Extreme traditionalists will notice one major difference with the original. Due to the construction of the module, the 2894 has the constant seconds at three o’clock and the minutes counter at nine. The original ref. 7169 had a Valjoux 7734 inside, so the counters were inverted, with the seconds at nine. 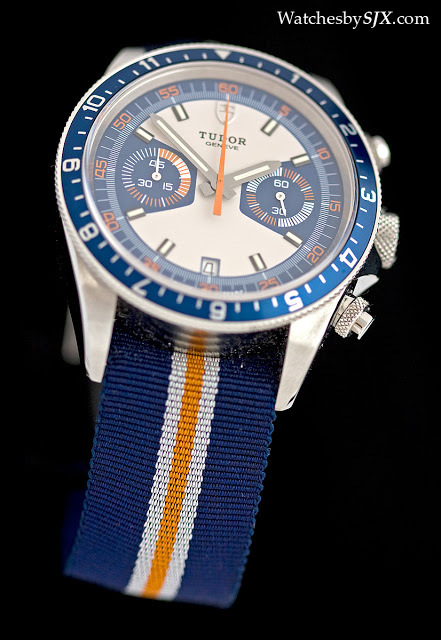 Like the other Heritage models the Heritage Blue Chrono is supplied with a fabric strap as well as a steel bracelet. 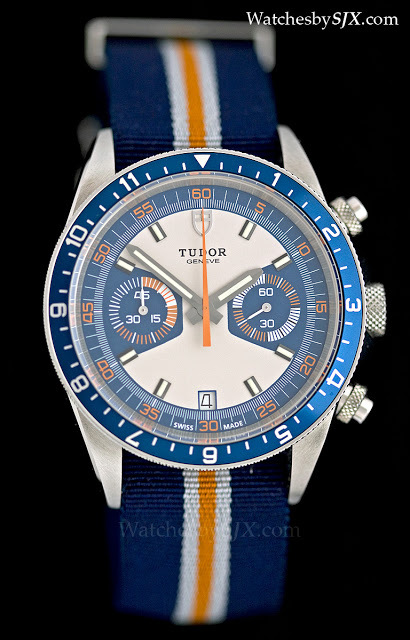 The fabric strap matches the dial colour and is more attractive, though the steel bracelet is obviously more practical for warm climates or sports. Woven by a centuries-old mill in France, the cloth strap is properly made and finished, with a smooth front and back as well as neat edges. This probably one of the best fabric straps I have come across. 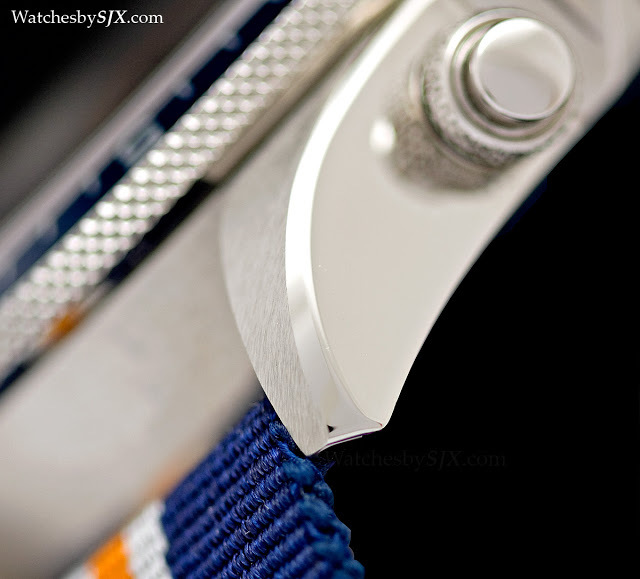 The steel buckle and loops, for example, are brushed with bevelled edges. 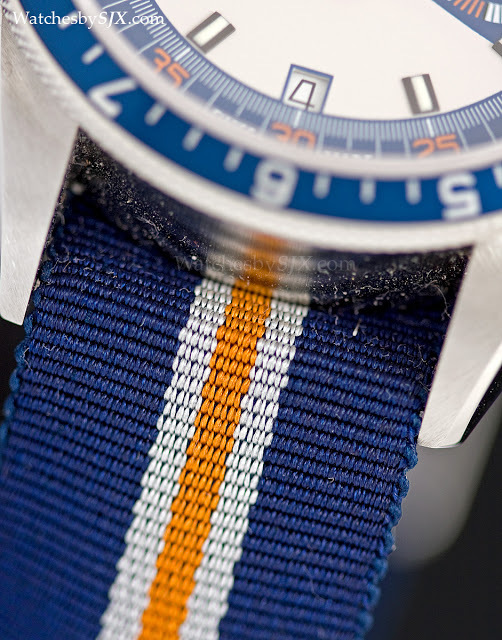 Unlike typical NATO-style straps which loop under the watch, the fabric strap is actually secured by spring bars which run through the fabric. This makes it more secure, and it requires a spring bar tool to remove. The bracelet and its friction fit clasp is solid and well made. 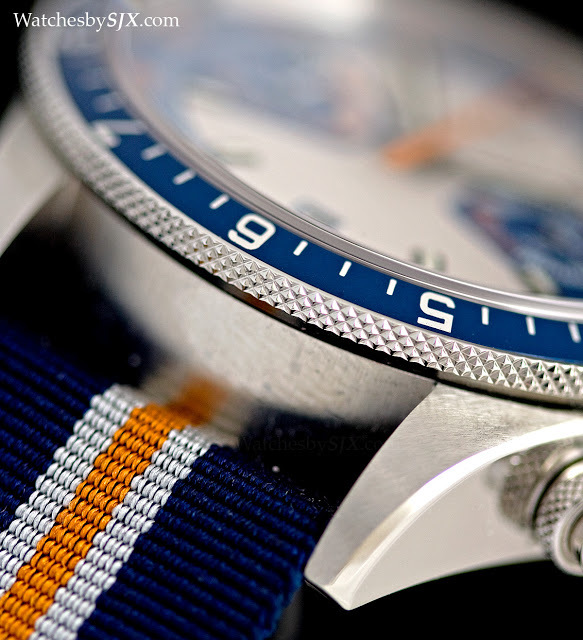 Though it has a good heft, I personally find the canvas strap more comfortable, and the colours of the strap give the watch a much stronger aesthetic. 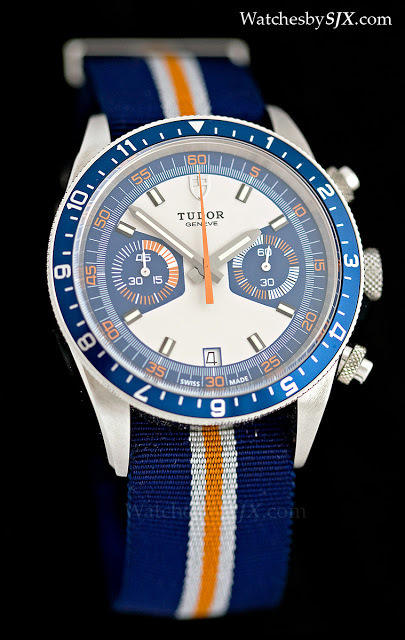 With a retail price of about US$4000, this is a mid-priced sports chronograph, a segment with lots of competition. 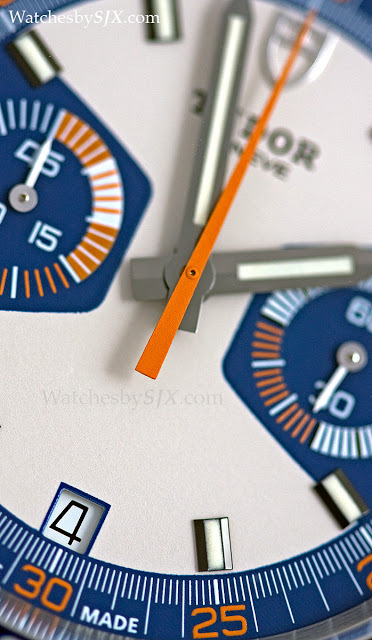 The Heritage Chrono Blue has a lot going for it and stacks up well against the competition. 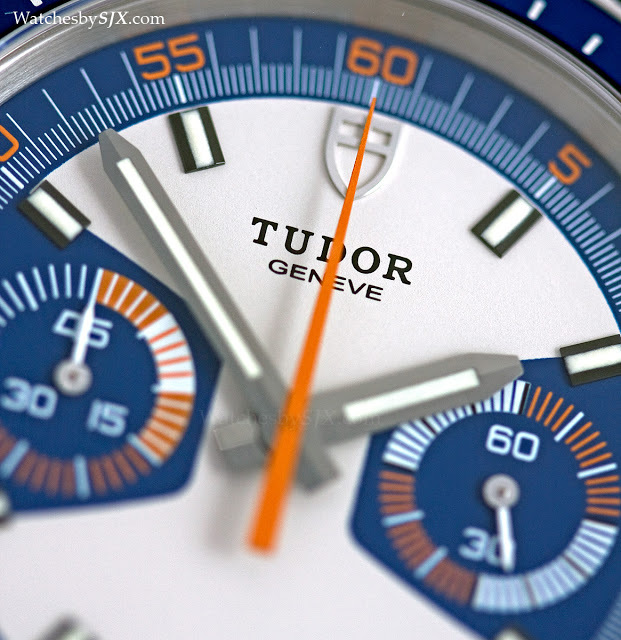 Mechanically it is simple, but the ETA 2894 is also used by much of the competition, so the primary differences are external components, where the Tudor rates highly. Its primary strengths are the quality and finishing of its external components – case and strap – which are all better than most of its peers. 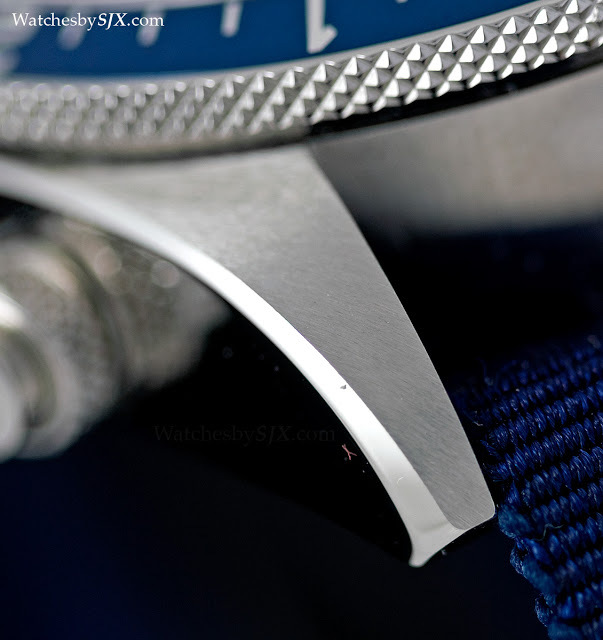 This review was also published on Watchonista’s Heritage Chrono Blue Official Page.